The MVE-20 is a 1RU rack-mount system capable of processing two channels of H.264 HD video in resolutions up to 1080p30. 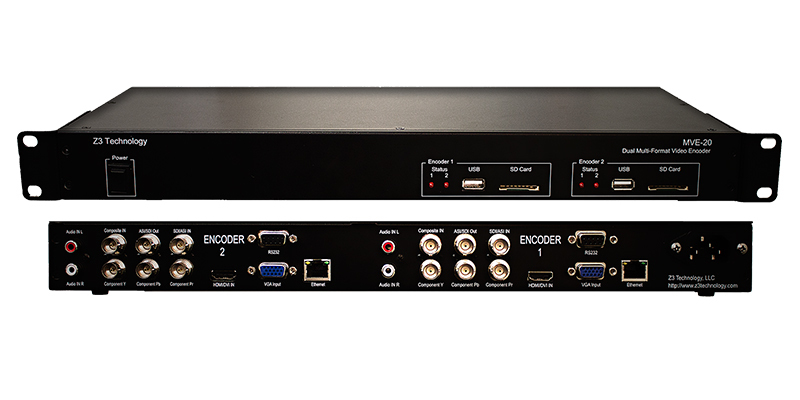 This versatile solution features independent configuration of each channel giving users the ability to utilize the MVE-20 for 2 channels of encode/decode or one channel each of both encode and decode. These features offer the advantages of low power consumption and lower cost per channel compared to a PC system. This solution provides immediate access to multi-format HD video, integrated system peripherals and production-qualified codecs. 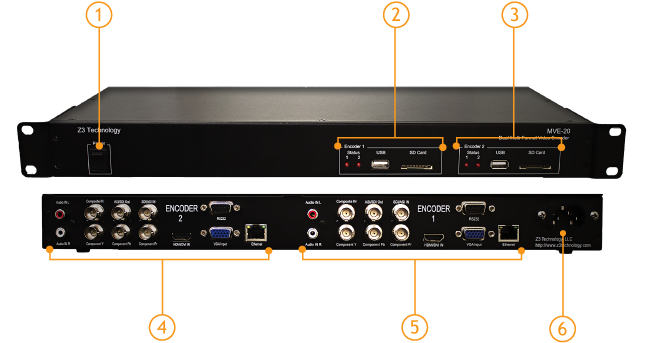 Each encoder supports H.264 BP, MP and HP up to 1080i or 1080p30.